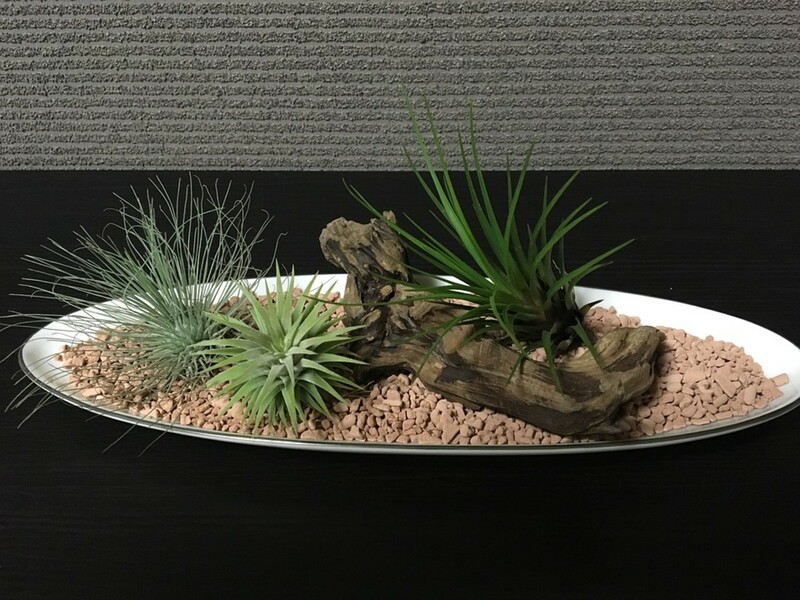 Air plants are growing in popularity thanks to their ease of care and use in décor. You can easily change the way you display them every time you change your décor. 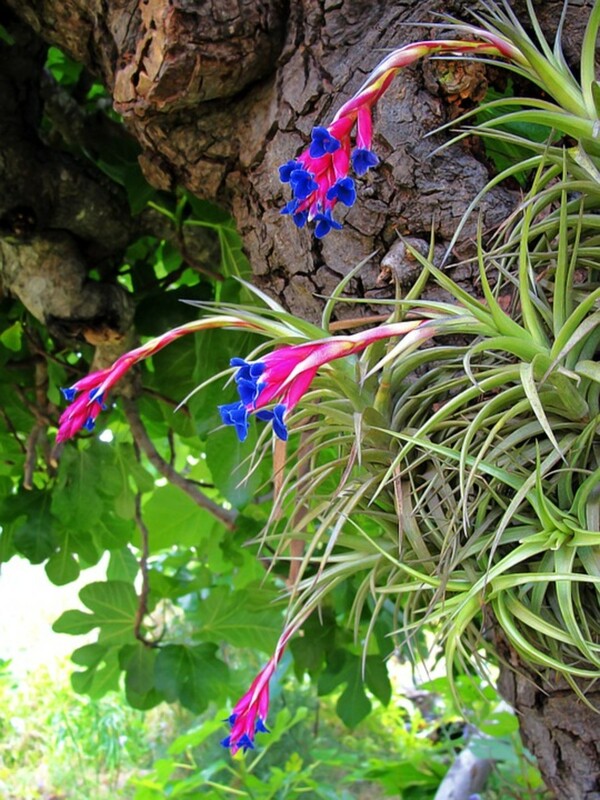 Air plants are native to the rain and cloud forests of Central and South America and the Caribbean. Others are native to the mountains and deserts of the southeastern United States and northern Mexico. 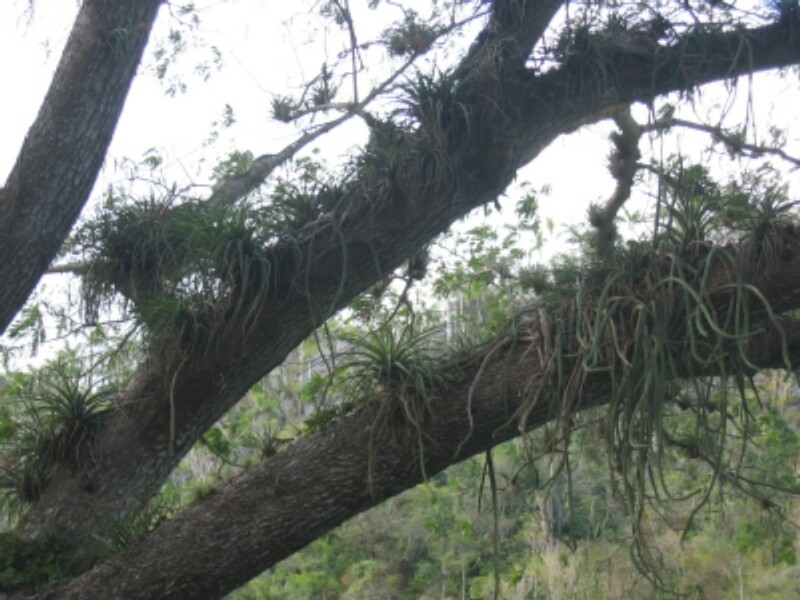 They are a group of plants that are called epiphytes which means that they grow without soil. Most don’t even have roots. The ones that do have roots, their roots don’t function like normal roots which are responsible for gathering water and nutrients from the soil. Instead, the roots anchor the plants to a surface like a tree or a rock. 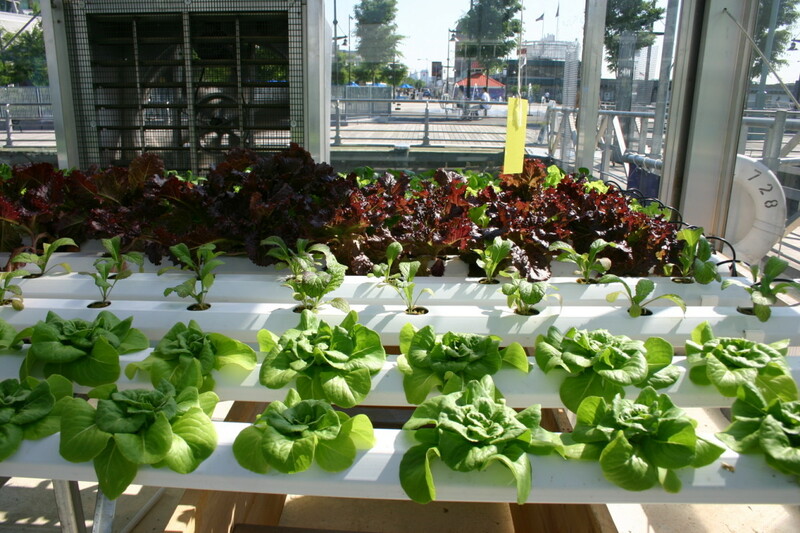 So how do they get water and nutrients if they don’t grow in soil? They get their water and nutrients from the air, hence the name “air plants”. The leaves have structures called trichomes that close during the day to prevent the loss of water and open at night to absorb water and dust from the air. Displaying your air plants is a creative endeavor. You can wire them on boards or logs, grow them in bowls or even around the bases of your orchids or cacti. Most gardeners use monofilament wire which is clear and nearly invisible so that it appears that the plants are growing out of whatever they have been wired on. It’s usually a good idea to avoid using moss around the base of your air plants because moss retains water which will rot your plants. Where you place your air plants depends on which type you have. It is easy to tell them apart. 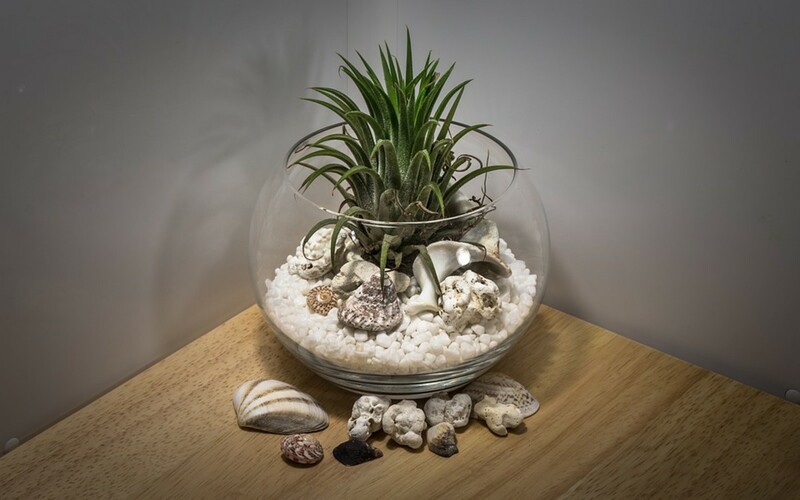 There are two main types of air plants, green foliage and silver foliage. Air plants with green foliage are native to humid rain and cloud forests. They require more water and less light than plants with silver foliage which are native to dry deserts. So you will grow your green air plants in shade (outdoors) or northern exposure (indoors). 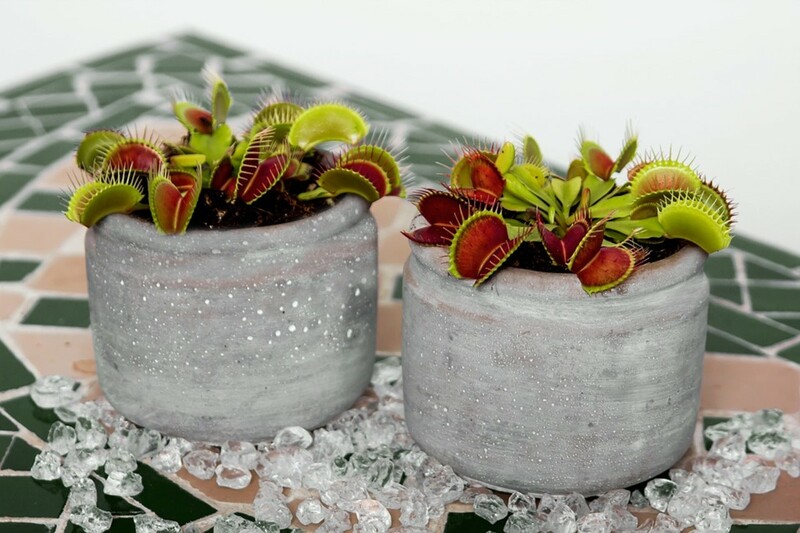 The silver ones can grow in the sun (outdoors) or on a sunny window sill (indoors). Air plants are from the tropics. They are only hardy in zones 10 and 11. 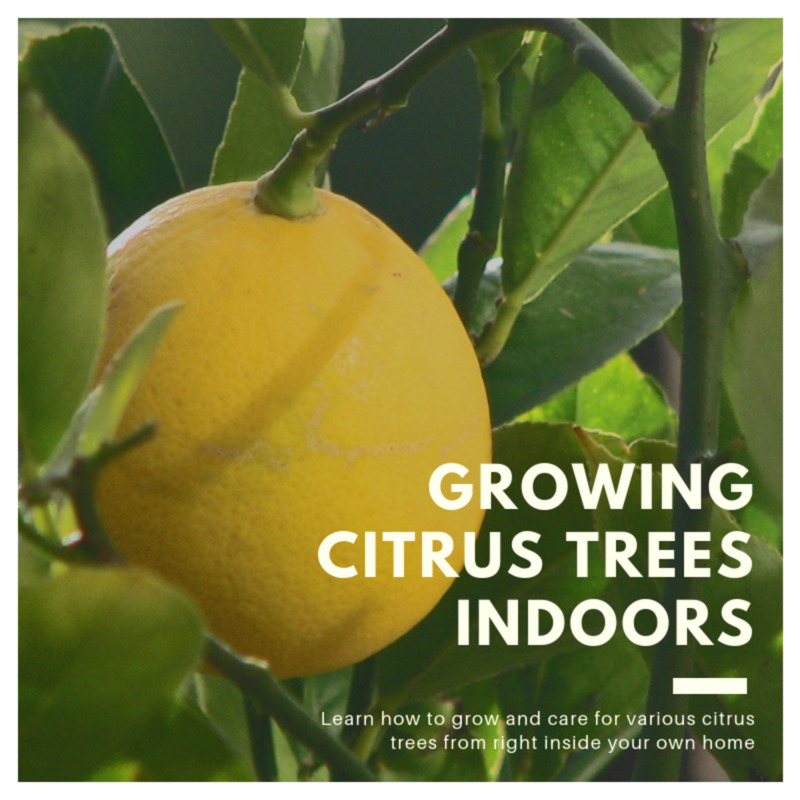 If you live north of zone 10, you will need to grow your plants indoors or only put them outdoors during the summer. Their ideal temperature falls in the range of 70⁰F and 85⁰F. They cannot tolerate temperatures below 50⁰F which will kill them. In the winter, keep them away from cold drafty windows and doors. 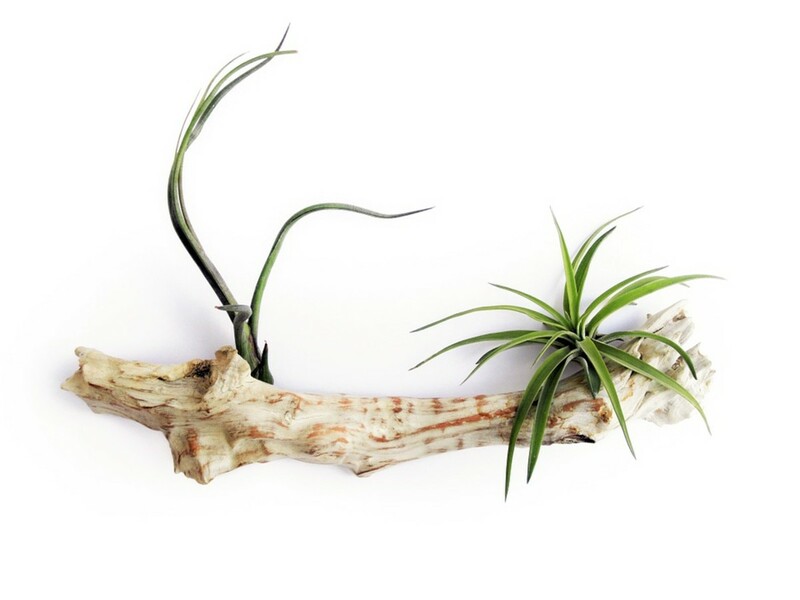 Since air plants do not grow in soil, they are watered differently from regular plants. 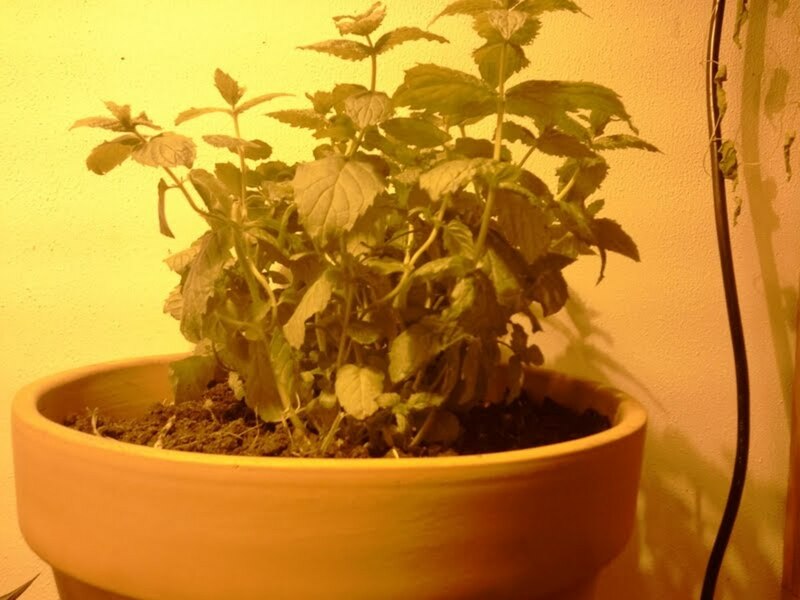 Most people mist their plants three to four times a week. Green leaved varieties may need more misting while the silver leaved varieties will need less. Another way to water your plants is what is called the dunking method. This is where you submerge the entire plant in a bowl of water and leave it there for 2 to 3 hours. Be sure to shake all of the water off of the plant when you are finished. You will only need to “dunk” once or twice a week. Whichever method you choose to water your air plants, be sure to do it in the morning or early afternoon so that they will have enough time to dry completely before dark. The trichomes open at night and they won’t open if the leaves are covered with a film of water. If the trichomes are prevented from opening, the plant won’t be able to “breathe”, i.e. release the oxygen they have produced through photosynthesis. 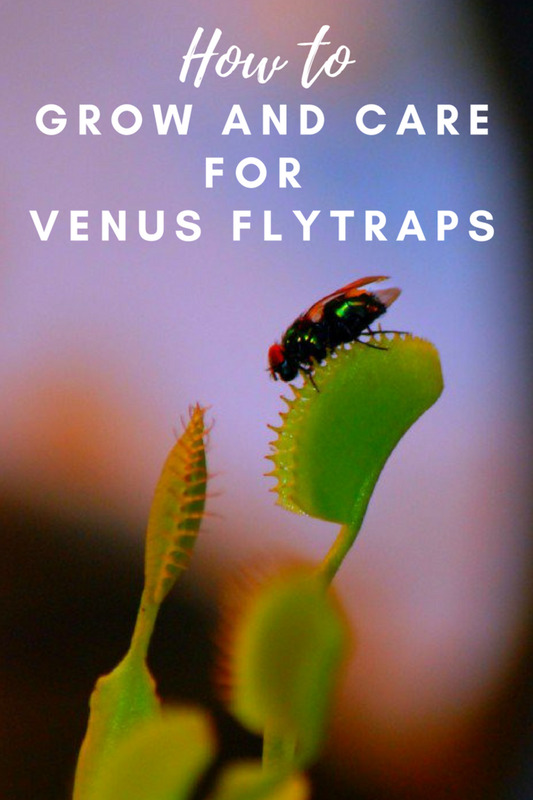 They will suffocate if their trichomes remain closed at night. 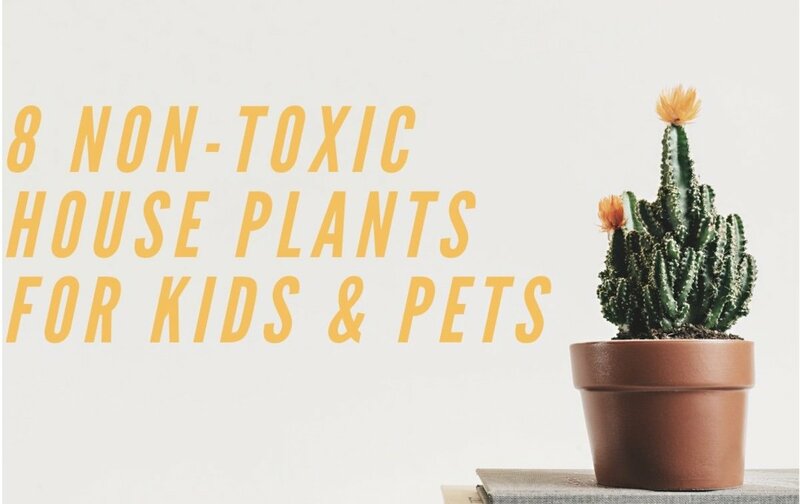 Air plants grown indoors need fertilizer just like your other houseplants. The best fertilizer to use is a liquid orchid fertilizer or a liquid fertilizer that is made specifically for air plants. These fertilizers do not contain nitrogen which the plants do not use. Apply the liquid fertilizer using a mister or the dunk method once a month. Air plants do bloom. In the wild, they are pollinated by hummingbirds, moths and bats. Once pollinated they produce seed. Interestingly, the seeds have “parachutes” similar to dandelions. 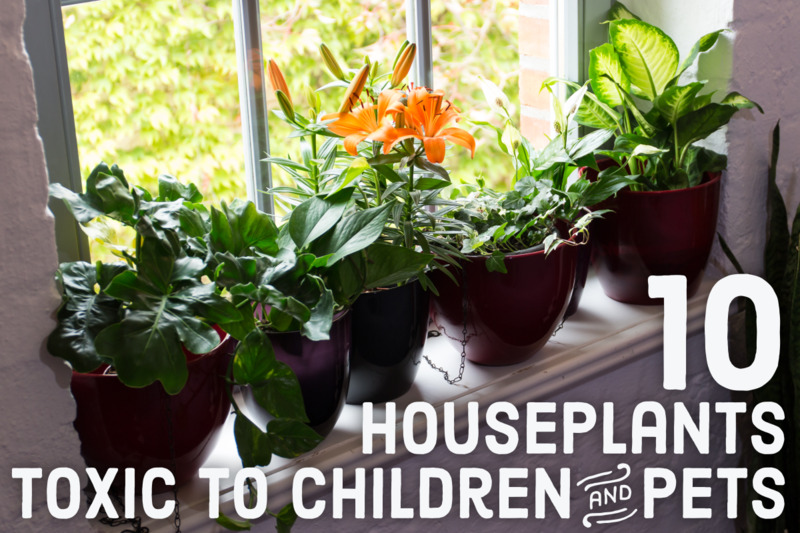 Plants that are grown indoors can bloom but they will not be pollinated and produce seeds. 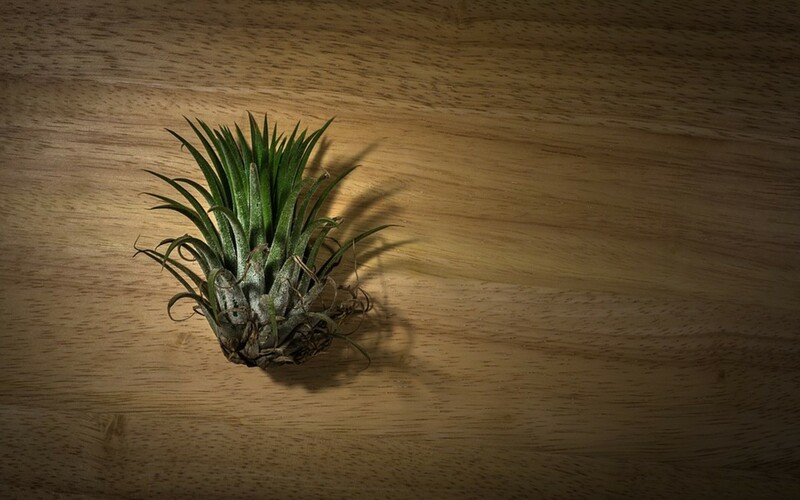 Most gardeners propagate their air plants via division. The plants produce offsets that are known as pups. When the pups are half the size of the mother plant, you can separate them from the main plant and then display them however you want. To separate the pups, gently pull on the base of the pups. If you pull on the leaves, they will break off. Pull from the bottom. 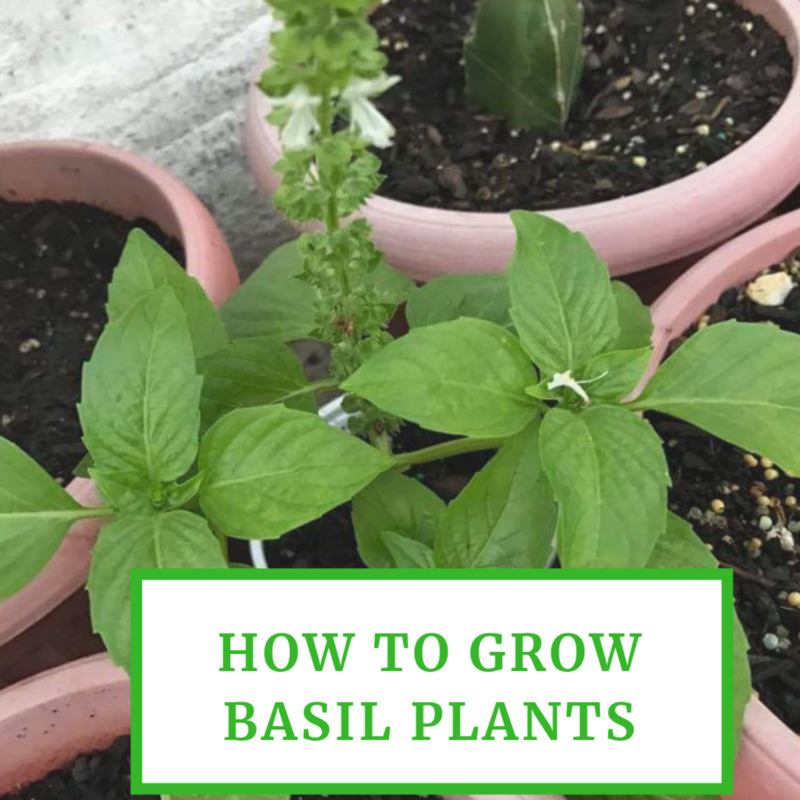 Once you have separated them and either wired them to a board or placed them in a bowl or around other plants, mist them every day for the first week until they become established. Hi Kate! I did mention lighting. The ones with green leaves need shade outdoors and northern exposure indoors. They live in forests which are shady. The ones with silver leaves like the sun outdoors and sunny windows indoors. They grow in deserts so they are sunlovers. I absolutely love this article. I've grown one in the past, with a sad outcome. However, I was unaware of the trichomes needing to be dry and that's probably what did mine in. I didn't notice any mention here of what type of lighting air plants would need. Rainforests probably have dappled, indirect light but I'm not sure if growing them indoors they would need different lighting. Thanks for a fun article!